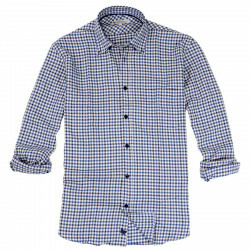 A nice gingham checked shirt that fits any kind of outfits! 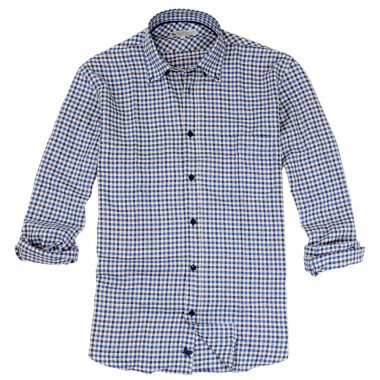 Timeless colours, these blue, navy and ecru gingham match any kind of style. Long sleeves with buttoned cuffs, classical collar and one chest pocket. Buttoned tab and straight cut. 53% cotton, 40% viscose, 7% wool.